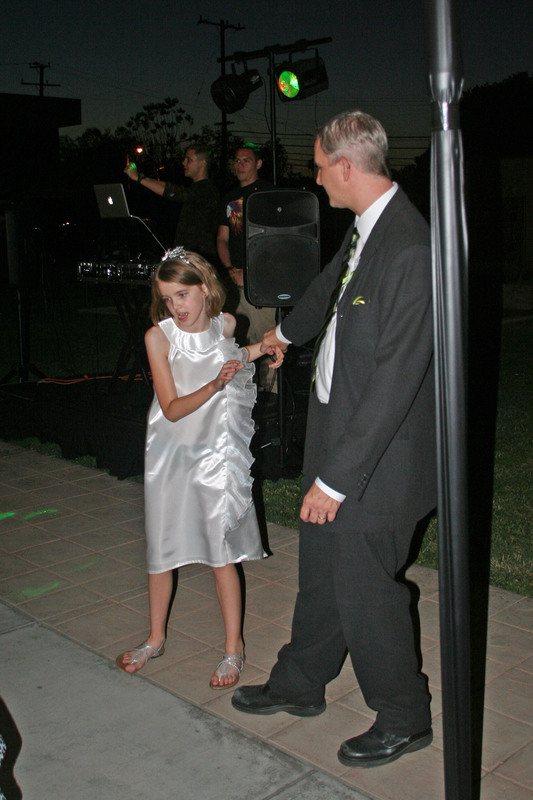 May 30th was the 3rd Annual Father and Daughter Dance and it was amazing! I told you that Mo and Jenna started texting each other to plan this on their way home from the 2nd Annual Dance! I knew they would make this one even better than the first two and they certainly did! This year the committee covered the lunch tables with black table clothes tied with silver ribbon! There were stars having from the awning and one of the mom’s had done all of the center pieces out of little black plastic top hats, tiaras and pink tulle. I love that we do the setup just as school is getting out. There were many girls passing by who definitely will be asking Dad to take them next year! The first year the theme had been a country western one. The second year it was a 50s sock hop theme. This year the theme was A Night Under the Stars and the girls were encouraged to wear their fanciest dresses and they did! The volunteers wore either all black or all white (with a bit of pink tulle) so it was very elegant. The PTA even offered wrist corsages for sale at the door this year. Many of the girls already had a corsage or flowers but many of the Dads were thrilled to get a chance to buy one on the spot! Grandma Judy had made Amara a beautiful white satin dress complete with the requested ruffle down the front! She looked so pretty next to her Daddy in his suit and tie! I love that the whole family is somehow involved in these events! As we did the last 2 years, Jenna and I ran the photo station. 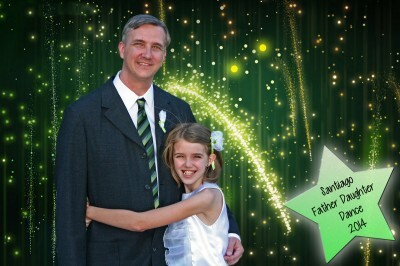 Each girl would receive a photo of her with Dad or whoever had escorted her as part of their admission. We were the first place they went after check in and we had a long line for a long time! It really is the best vantage point for seeing how cute all of the girls look and to see how much fun they are having. Now last year I somehow failed to get a picture of Mo and her family together so I had to try and Photoshop her into the picture. So this year when they got in line I made them wait while we sent someone to get Mo for the picture. It came out so cute. THIS year I somehow managed to forget to get picture of Jenna with Justin and Amara! Not sure how we forgot as Jenna was running the line and told them where to stand and we just never even thought about it. Until afterwards! Fortunately Jenna had posed for me in front of the green screen while we were doing set up so this year I had to Photoshop her into the picture! Maybe next year I will get them both right! The dinner that night had to be something special and elegant, too! They had dinner catered by Roma d’ Italia and with three different kinds of pasta and all of the trimmings it was a delicious meal! They had a live DJ playing the entire evening and he did a great job of mixing up the music so that everyone was hearing things they liked! There was lots of dancing and giggling! Mo even had a bubble machine going and the younger girls had so much fun running through the bubbles in their fancy dresses! It was a wonderful evening and as in the past 2 years, it ended with drawing the winners of the raffle prizes! All of the prizes were geared to Dad and his daughter having another date! Amara won passes to the San Juan Capistrano mission! I can’t wait to see what year number 4 will bring us! 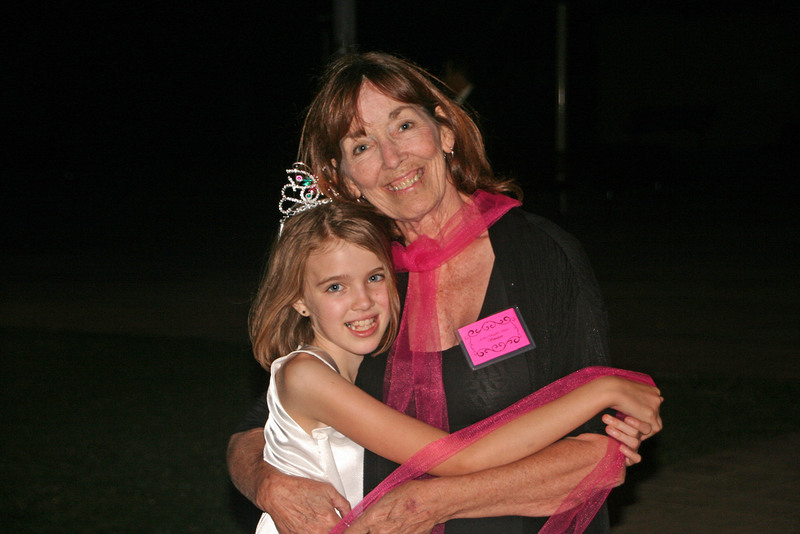 This memory was posted in Special Occasions, Volunteering and tagged Amara, dancing, Father Daughter Dance, PTA, school on June 30, 2014 by Grandma Kc. What a difference one person can make! 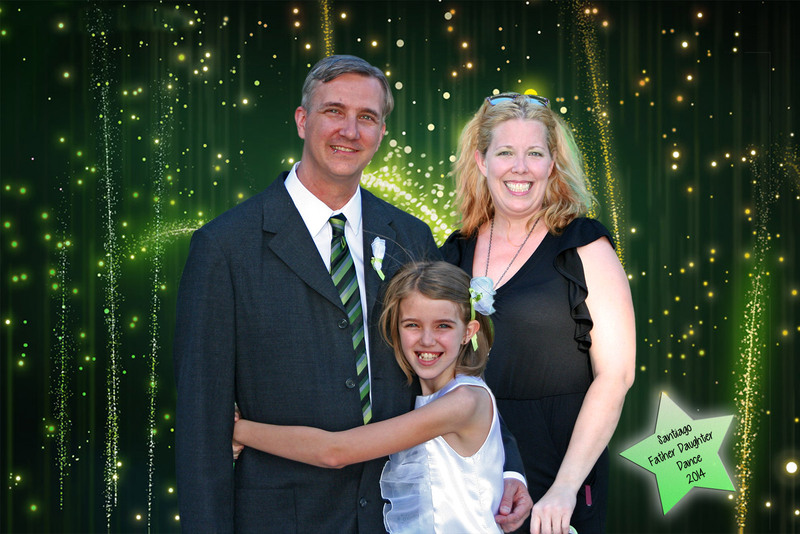 Three years ago Mo, who has been PTA president with Jenna for the last 2 years decided she wanted her girls to experience a Father and Daughter Dance because of the memories she had of her own! So she made it happen! It wasn’t the school – it was one of the parents! It really is a great school – made even better by the volunteers! What a wonderful tradition! I just love all the happy memories that Amara is making with her family! Me, too! I am so glad that she has so much family close by to be part of her life. Something not all children are lucky enough to have. While she might take all of us for granted once in a while I do think Amara realizes how lucky she is to have parents that aren’t divorced and grandparents who worship her. She was telling me of a couple of her classmates that didn’t get to go because it wasn’t Dad’s weekend. Been there and I know how terrible that is. Amara worships her Dad – and he really is a wonderful father to her! She is going to have great memories! The dress is adorable, Grandma Judy has talent. Grandma Judy not only has talent she has been teaching Amara to sew, too! It works out so well – Grandma Judy is the sewing Grandma and I am the cooking/baking Grandma – although she has done both with both of us! We are having fun! There are so many wonderful things going on here! It’s so important for little girls to be acknowledged as special by their daddies. This event does that – and more! How sweet to give prizes away that extend the time spent together! Including the entire family is something Amara’s school has the knack for! It seems like such an open, welcoming place, where anyone who loves children and wants to contribute can find a job to do and an appreciative audience for it. And finally, the “little princess” is beautiful because her family is too! Daddy is handsome and mom and grandma are so pretty – happy, too – but who wouldn’t be in that environment?! This year the school has a male vice-principal and 2 male teachers, which they haven’t had in previous years. It was fun to see them and their own daughters there and I think their excitement before the dance got more students to attend! No little girl should ever miss out on this! Neither should any Grandma!!!! You volunteer and you get to be there to watch! What a fun night! 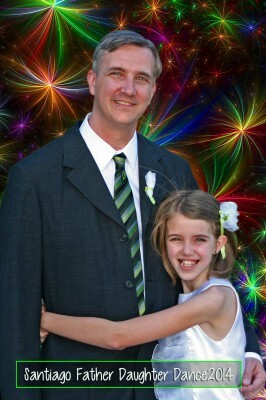 Daddy/daughter dances are so sweet! I’m sure everyone will remember the night with a smile! You did a beautiful job with the photos! I know it was a LOT of work for you to put the backgrounds in for each one. And if you hadn’t told us, I would not have known that Jenna wasn’t standing right next to Amara and Justin when the picture was taken! Nice job!!! I’m anxious to see what they come up with next year, too!! This one will be hard to beat! I expect next year will be even bigger and better! Since today was officially Jenna and Mo’s last day as PTA Co-Presidents they will have even more time to devote to just this next year! Well, that and Team Paletas (Fruit Pops)! I really hope the theme is something where the girls dress up because they really loved it and they looked so cute. I wish I could share ALL of the photos! Parents (and grandparents) make all the difference in the extra activities at schools. I’ve found that the schools I’ve been involved with are up for almost anything if the parents plan it and do it. I love the idea of a father-daughter dance. The photos are a nice extra touch. Great job! You’re right – it is the volunteers that make a difference! Teachers are so busy just keeping up with everything needed for the classroom they can’t take on more. It is amazing the number of teachers I see parked at school on weekends and if there not there they probably working on stuff at home. Glad you like the pictures! Wow! You all are so BEAUTIFUL! Love, love, love this! What a precious, memorable time. So very special. Thanks Lisa! It was so much fun. I really do hope that next year more of the upper graders will attend, too. Our friend Mo started all of this because she had such a wonderful memory of going with her own Dad. I really don’t think any of them will ever forget! This is such a special event…even more special for the ongoing memories through the generations. I think I look forward to it almost as much as Amara does! I am going to love it years from now when she and I can look back on those pictures together! 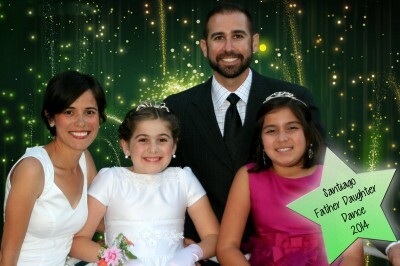 Beautiful Amara and family! 🙂 I know how much work this was for you / that school has some wonderful volunteers and you are the best! 🙂 You are both just glowing in that last picture …lovely. I do love both of those last 2 pictures – oh I love them all! I really wish I could share more of the pictures from that night – some of those little girls had the time of their life – with Dad!!! Oh what great memories you guys made! Lot of great pictures too! 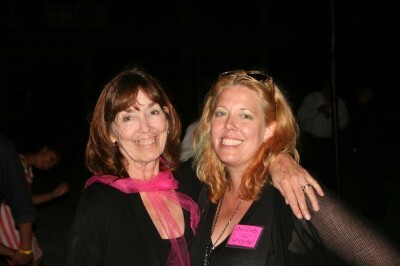 It was a wonderful night and some of the other pictures that I can’t share are just wonderful! Little girls all dressed up with their hair curled and Dads in their best attire! It was very special! Good Job Grammy! I especially like that last picture of you and Amara. Thanks Grampy! I love that she hasn’t gotten so old that she doesn’t want to hug Grammy in public! I’ve been away from here faaaaaaar too long. What wonderful posts I’ve missed, Kc! This one about the Father/Daughter Dance really touched me. My daughter volunteers at her kids’ school…and now we’re both signed up for substituting there this fall! I love your involvement….the whole family being involved…here other grma sewing a dress….wow! I will go confidently into their building to help in any way I can…..thank you for showing how it’s done with grace, dedication…..and yeah….being such a fun, young and pretty Grandma! It is great to have you back! I know you’ve had a lot going on – but you’ve been missed! I think it is awesome that you are going to substitute and the kids’ school. I do think seeing us Grandmas on campus helps them to really understand how important school is! Amara is extra lucky because she has all of her grandparents close by. Maybe in between substituting you can get other grandmas at that school to get involved. Seriously, grandparents are so much younger or at least healthier than in past generations – we can still give a lot! And it is fun! And we need to get more of them to blog about it!